The Curious Wavefunction: The death of new reactions in medicinal chemistry? The death of new reactions in medicinal chemistry? Since I was discussing the "death of medicinal chemistry" the other day (what's the use of having your own blog if you cannot enjoy some dramatic license every now and then), here's a very interesting and comprehensive analysis in J. Med. Chem. which has a direct impact on that discussion. The authors Dean Brown and Jonas Boström who are from Astra Zeneca have done a study of the most common reactions used by medicinal chemists using a representative set of papers published in the Journal of Medicinal Chemistry in the years 1984 and 2014. Their depressing conclusion is that about 20 reactions populate the toolkit of medicinal chemists in both years. In other words, if you can run those 20 chemical reactions well, then you could be as competent a medicinal chemist in the year 2015 as in 1984, at least on a synthetic level. In fact the picture is probably more depressing than that. The main difference between the medicinal chemistry toolkit in 1984 vs 2014 is the presence of the Suzuki-Miyaura cross-coupling reaction and amide bond formation reactions; these seem to exist overwhelmingly in modern medicinal chemistry. The authors also look at overall reactions vs "production reactions", that is, the final steps which generate the product of interest in a drug discovery project. Again, most of the production reactions are still dominated by the Suzuki reaction and the Buchwald-Hartwig reaction. Reactions like phenol alkylation which is used more frequently in 2014 and not in 1984 partly point to the fact that we are now more attuned to unfavorable metabolic reactions like glucuronidation which necessitate the capping of free phenolic hydroxyl groups. There is a lot of material to chew upon in this analysis and it deserves a close look. Not surprisingly, there is a horde of important and interesting factors like reagent and raw material availability, ease of synthesis (especially outsourcing) and better (or flawed and exaggerated) understanding of druglike character that has dictated the relatively small differences in reaction use in the last thirty years. In addition there is also a thought-provoking analysis of differences in reactions used for making natural products vs druglike compounds. Surprisingly, the authors find that reactions like cross-coupling which heavily populate the synthesis of druglike compounds are not as frequently encountered in natural product synthesis; among the top 20 reactions used in medicinal chemistry, few are used in natural product synthesis. There is a thicket of numbers and frequency analysis of changes reaction type and functional group type showcased in the paper. But none of that should blind us to the central take home message here: in terms of innovation, at least as measured by new reaction development and use, medicinal chemistry has been rather stagnant in the last twenty years. Why would this be so? Several factors come to mind and some of them are discussed in the paper, and most of them don't speak well of the synthetic aspects of the drug discovery enterprise. As the authors point out, cross-coupling reactions are easy to set up and run and there is a wide variety of catalytic reagents that allows for robust reaction conditions and substrate variability. Not surprisingly, these reactions are also disproportionately easy to outsource. This means that they can produce a lot of molecules fast, but as commonsense indicates and the paper confirms, more is not better. In my last post I talked about the fact that one reason wages have been stagnant in medicinal chemistry is precisely because so much of medicinal chemistry synthesis has become cheap and easy, and coupling chemistry is a good reason why this is so. One factor that the paper does not explicitly talk about but which I think is relevant is the focus on certain target classes which has dictated the choice of specific reactions over the last two decades or so. For example, a comprehensive and thought-provoking analysis by Murcko and Walters from 2012 speculated that a big emphasis on kinase inhibitors in the last fifteen years or so has led to a proliferation of coupling reactions, since biaryls are quite common among kinase inhibitor scaffolds. The current paper validates this speculation and in fact demonstrates that para-disubstituted biphenyls are among the most common of all modern medicinal chemistry compounds. Another damning critique that the paper points to in its discussion of the limited toolkit of medicinal chemistry reactions is our obsession with druglike character and with this rule and that metric for defining such character; a community pastime which we have been collectively preoccupied with roughly since 1997 (when Lipinski published his paper). The fact of the matter is that the 20 reactions which medicinal chemists hold so dear are quite amenable to producing their favorite definition of druglike molecules; flat, relatively characterless, high-throughput synthesis-friendly and cheap. Once you narrowly define what your target or compound space is, then you also limit the number of ways to access that space. That problem becomes clear when the authors compare their medicinal chemistry space to natural product space, both in terms of the reactions used and the final products. It's well known that natural products have more sp3 characters and chiral centers, and reactions like Suzuki coupling are not going to make too many of those. In addition, the authors perform a computational analysis of 3D shapes on their typical medicinal chemistry dataset. This analysis can have a subjective component to it, but what's clear not just from this calculation but from other previous ones is that what we call druglike molecules occupy a very different shape distribution from more complex natural products. For instance, a paper also from AZ that just came out demonstrated that many compounds occupying "non-Lipinski" space have sphere and dislike shapes that are not seen in more linear compounds. In that context, the para bisubstituted biphenyls which dot the landscape of modern druglike molecules are the epitome of linear compounds. As the authors show us, there is thus a direct correlation between the kinds of reactions used commonly at the bench today and the shapes and character of compounds which they result in. And all this constrained thinking is producing a very decided lack of diversity in the kinds of compounds that we are shuttling into clinical trials. The focus here in particular may be on synthetic reactions but it's affecting all of us and is at least a part of the answer to why medicinal chemists don't seem to see better days. Taken together, the analyses in this review throw the gauntlet at the modern medicinal chemist and ask a provocative question: "Why are you taking the easy way out and making compounds that are easy to make? Why aren't you trying to expand the scope of novel reactions and trying to explore uncharted chemical space"? To which we may also add, "Why are you letting your constrained views of druglike space and metrics dictate the kind of reactions you use and the molecules they result in"? As they say however, it's always better to light a candle than to just curse the darkness (which can be quite valuable in itself). The authors showcase several new and interesting reactions - ring-closing cross-metathesis, C-H arylation, fluorination, photoredox catalysis - which can produce a wide variety of interesting and novel compounds that challenge traditional druglike space and promise to interrogate novel classes of targets. Expanding the scope of these reaction is not easy and will almost certainly result in some head scratchers, but that may be the only way we innovate. I might also add that the advent of new technology such as DNA encoded library technology also promises to change the fundamental character of our compounds. This paper is clearly a challenge to medicinal chemists and in fact is pointing out an embarrassing truth for our entire community: cost, convenience, job instability, poor management and plain malaise have made us take the easy way out and keep on circling back to a limited palette of chemical reactions that ultimately impact every aspect of the drug discovery enterprise. Some of these factors are unfortunate and understandable, but others are less so, especially if they're negatively affecting our ability to hit new targets, to explore novel chemical space, and ultimately to discover new drugs for important diseases which kill people. What the paper is saying is that we can do better. 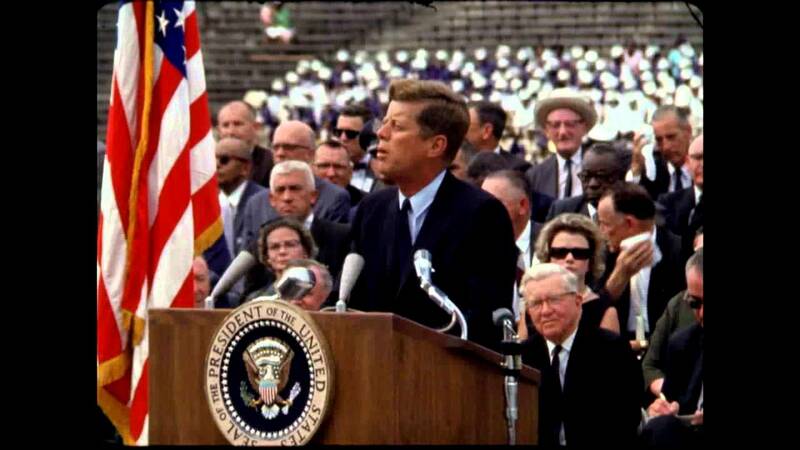 "We choose to go to the moon. 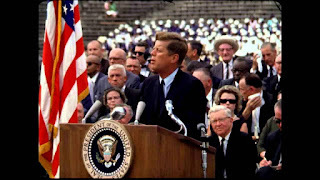 We choose to go to the moon in this decade and do the other things, not because they are easy, but because they are hard, because that goal will serve to organize and measure the best of our energies and skills, because that challenge is one that we are willing to accept, one we are unwilling to postpone, and one which we intend to win." 1. Medicinal chemists like predictable toolkit-like reactions where there is large selection of commercial building blocks. In big pharma, the middle management measures output by the number of compounds synthesized each month. That means your Chinese colleague who runs eight coupling reaction a day (and purifies them quick and dirty on prep HPLC) will get better evaluation than you, if you waste few weeks trying to optimize an interesting but finicky cyclization, or if you have to synthesize your non-commercial building blocks yourself. 2. Kinases like heterocycles, and often the binding site is very long, deep and narrow, like a slit in a toaster. It kind of invites chemists to make terrible lead compounds, because by stringing a bunch of heterocycles together one can get high potency and decent selectivity quite rapidly. Then decorate with some amine sidechains to make that pigment-like brickdust compound somewhat soluble. 3. X-ray crystallography based design encourages use of rigid or conformationally restricted molecules, and sure enough biaryls are very confimrationally restricted. In the old days, people tried to make spirocyclic compounds or at least linked pieces by using piperazine, but why bother if Suzuki does the job. 4. Pharma companies left the natural product arena. This unfortunately discourages the use of a more elaborate chemistry. 5. Lipinski rule, the polar surface area metrics and the like get used far past their applicability. This overemphasizes greasy molecules, and biaryls are greasy. Cogent points. As Uncle Joe said, quantity has a quality of its own. At least that's what they would have you believe. It's a vicious circle of science, cost and management which dictates these trends. Thanks for the very thorough review of the paper. I still don’t have the galley proofs back yet, so it might be a little easier on the eyes here in a couple of weeks when it finally gets to ASAP. As you point out in a previous paper by Murcko and Walters, target-class approaches will also have a role in dictating our chemistry approaches. In many ways, it was part of the genesis of this article. In recent times, I’ve found myself debating whether or not our collection is good for this target class or that target class etc. Those types of questions make you stop and reflect ‘’Well, what’s really in the collection? Can I say for certainty that the collection can address any targets for which it wasn’t specifically designed?” And of course then one has to wonder if “target-class space” is not really just a reflection of the types of chemistry we use. Take for example kinase inhibitors. The industry uses a very modular approach with aromatic anilines and SNAr type reactions for many kinase scaffolds. Nature, however uses quite different chemistry which hits similar target classes (e.g. Manzamine A). Perhaps our target-class space accepts more chemical diversity than we think? Is one better than the other? This type of thinking also biases our views on novel target classes. I often hear the following questions which go something like this “we are now pursuing more protein-protein interactions, so what collection do we need to obtain to find better success”. Frankly, I have no honest answer to this question. I know many vendors are anxious to sell you their version of PPI sets (often also touted as “macrocyles”), but do we have any hard evidence that a synthetic peptide-based macrocycle is better at PPI’s than say an oligonucleotide or and oligosacchride? So, a long-winded way of agreeing with you and perhaps issuing a call to others to help and try to address the link between target-class and the chemical universe in well-reasoned manner with supporting evidence. I think this remains a significant gap in hit/lead finding efforts. Because, chemists keep "discovering" the same reactions over and over again by their "novel Palladium catalyzed X" reactions. This thing has to stop. It would be interesting to see how many new reactions made it into industrial synthesis over the last 15 years. Proteins look like the best candidates for therapeutic tools. There will be some small molecules, but not many. And thanks to you for the plug Ash. You summarized it well. There's indeed a high bar of impact for new synthetic reactions in drug discovery. As you say, one reason for this is the metrics era and pressure on delivery from mgnt, and chemists (quite possibly as a result) taking the easy way out making compounds "just because they can", There are many other reasons as well (the paper is 16 pages as you probably noticed ; ). One thing I'd think most can agree on is the recommendations we make "to educate medicinal chemists who are new to the field to have a strong rationale behind (almost) all designed compounds and selecting the most appropriate routes not the most expedient routes"? And sorry for posting comment twice. The comment over at In the Pipeline took ages to appear on my machine. I heard that potassuim cyanide is called the "medicinal chemistry of death", but did not know it is right or not. Hope to adopt! With the assistance of many other tech and devices, the synthesis chemistry in 2014 is much easier to be carried out for chemists at present than those in 1980's.